The majestic English capital is always a dream destination for tourists from around the world. There are so many things to do in London that you can stay busy for a month, but if you are staying for only one week, here are our picks. In our guide, you will find the main places to visit in London for first-timers but not only, London free landmarks and also where to go shopping in London. One of the steps for planning a trip is to decide what to visit, and in the English capital, you will surely be spoilt for choice. We have drawn a pretty big list of what to see in London, what are the free attractions, the historical landmarks and the urban parks. You can visit the Commons and Lords Chambers as well as the historic Westminster Hall, but you need to book your tour in advance. It’s a fascinating place and the best to start exploring London from. You will walk through the history of the British Empire and the building of its current multicultural society. Definitely one of London’s most iconic landmarks, Elizabeth Tower, the 96-metre-tall clock tower close to Westminster mainly known as Big Ben, stands tall from far away and is basically impossible to avoid. All you need to do is to find the right spot for the perfect picture. This is the official church of the House of Common and is located near the Houses of Parliament and Westminster Abbey. This worship place is very old: founded in the 12th century, it was rebuilt in the 16th century and suffered several damages due to the bombings of WWII. Important figures got married here, including Winston Churchill. 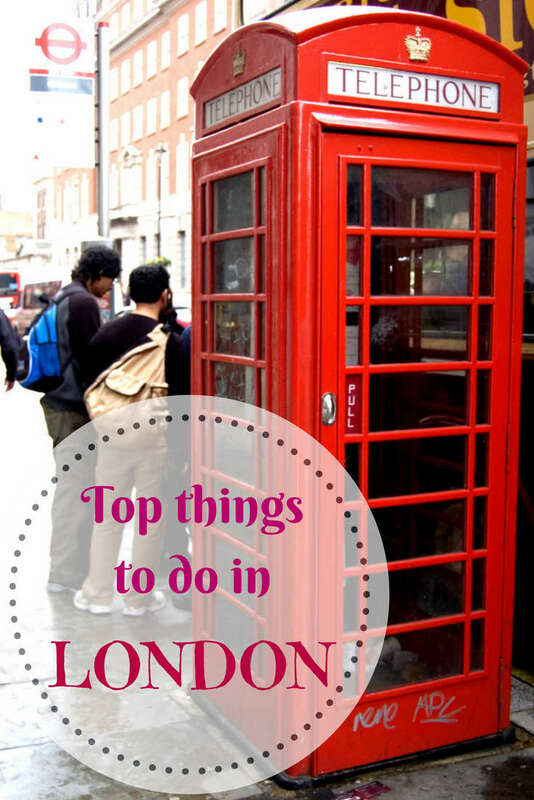 An interesting place to include in your bucket list if you are still wondering what to do in London. Address: St Margaret St, London SW1P 3JX. Opening time: 9.30 am-3.30 pm, Saturday to 1.30 pm, Sunday 2.30-4.30 pm. Historical worship place where kings and queens were coronated, Westminster Abbey is a London must-do for everyone travelling there for the first time. Located west of the Houses of Parliament in the central Greater London borough of Westminster, where is now the famous church was first a Benedictine monastery. An impressive example of the Gothic architectural style, it’s the burial site of the British monarchs. Westminster Abbey, St Margareth’s Church and the Houses of Parliament were inscribed in the same UNESCO heritage list in 1987. Address: 20 Deans Yd, Westminster, London SW1P 3PA. Opening time: 9.30 am-3.30 pm, Saturday to 3 pm (1 pm Sept-Apr), Sunday open for services. Entrance fee: 22 £ (20 in booked online), 9 £ for 6-16 years old, free for less than 6 years old. ⇒ Book a tour around London’s most important cathedrals. Rich in history, this castle is one of the best places to visit in London. A castle, a fortress, a terrible prison and a royal residence, the Tower of London was founded in the 11th century and is located on the northern bank of the Thames in central London. It hosts the famous exhibition of the Crown Jewels displaying gemstone-filled items still used in official ceremonies. Address: Tower of London, London, EC3N 4AB. Opening times: Tues-Sat 9 am-5.30 pm, Sun-Mon from 10 am, last admission 5 pm. ⇒ Click here to book a complete London tour covering iconic landmarks such as Westminster Abbey and the Tower of London. Built in the dawn of the 18th century as a residence for the Duke of Buckingham, this magnificent mansion has been the royal palace since 1837 by the will of Queen Victoria. When the Queen is on holiday in August and September, you can even visit the State Rooms, while all throughout the year you can see the famous changing of the guard that always attracts hundreds of curious tourists. It lasts around half an hour, try to arrive a bit in advance if you want a good view. When: Daily at 11.30 am May-July and on alternate days Aug-Mar. Have a walk around Trafalgar Square and see the tall Nelson’s obelisk in the middle to commemorate the famous admiral who died in the Trafalgar battle in 1805, one of the many and most popular free things to do in London. 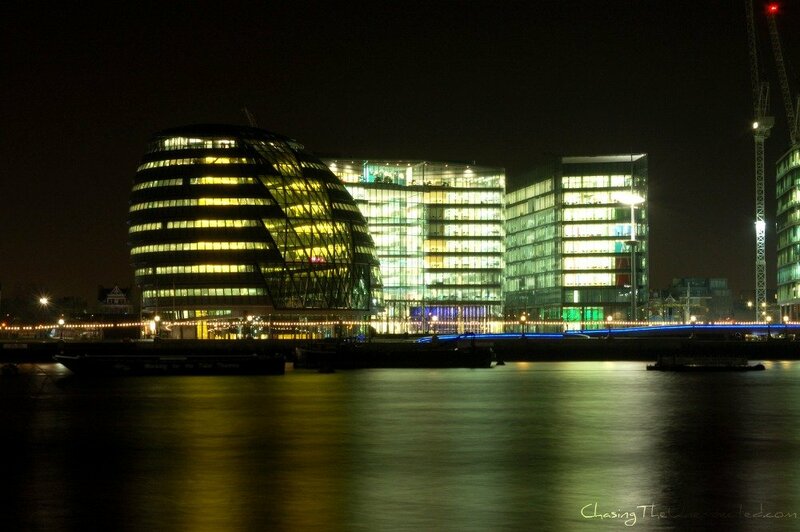 Throughout the year, several cultural events take place here so keep an eye on the program for when you are in London. The huge lion statues, the fountains and a great view of the Big Ben complete the scene of this majestic square, iconic London landmark. One of the best free things to do in London is a visit to the National Gallery. Huge museum displaying more than 2000 paintings of artists from all over Europe divided by century. You will find the work of some of the most famous painters in history like Leonardo, Michelangelo, Botticelli, Rubens, Caravaggio, Rembrandt, Velázquez, Van Gogh, Monet, Cézanne among the others. Opening time: Daily 10 am-6 pm, on Friday to 9 pm. Among the free attractions in London, a lovely one is the National Portrait Gallery, just beside the bigger National Gallery. The world’s largest collections of portraits, here you can stare at famous portrait paintings, photographs, prints and drawings counting more than 200,000 masterpieces from the 16th century to today. Address: St Martin’s Place, London, WC2H 0HE. Opening times: Daily 10 am-6 pm, on Friday to 9 pm. 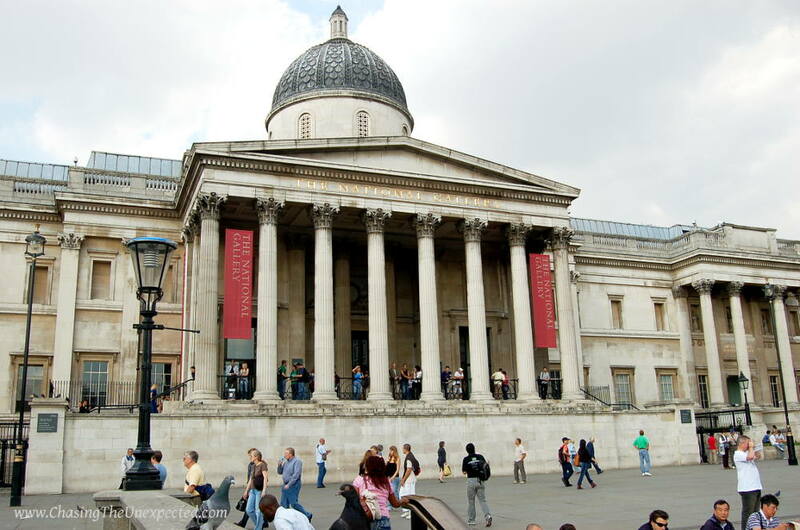 Yet another free attraction in London, the British Museum is simply impossible to miss for history lovers. It is one of the most popular attractions in London, so you might want to keep in mind that especially on weekends and holidays it will be pretty crowded. Their huge collection shows the history and the culture of the world’s most important civilisations over the span of millennia, from the Egyptian to the Roman, the Greek, the Indian, Middle Eastern, African and more. Address: Great Russell Street, London WC1B 3DG. Opening times: Daily 10 am-5.30 pm, Friday to 8.30 pm (except Good Friday). Are you rather into modern and contemporary art? The Tate Modern is for you and, needless to say, this is yet another free attraction in London. Here, the permanent exhibitions showing pieces of artists such as Matisse, Jackson Pollock, Andy Warhol and Rebecca Horn, and also some temporary collections are free of charge, while the “Special Exhibitions” are free for the members or you just pay the ticket for the ones you are interested in. Check their website to see what’s on at a specific moment. Address: Bankside, London SE1 9TG. Opening times: Sun-Thur 10 am-6 pm, Fri-Sat 10 am-10 pm. Entrance fee: Free. Prices for Special Exhibitions vary. This is all about Britain and British artistic expression from the 16th century to the present day. This is also one of the free museums in London with the exception of the Special Exhibitions. Just like for the Tate Modern, also here you better check their website for timely updates. Among the free collections are an exhaustive walk through British art from 1545 to today, a large collection of JMW Turner and an ever-changing collection of contemporary artists on different themes. Address: Millbank, London SW1P 4RG. Opening times: Mon-Sun 10 am-6 pm. Imposing neo-Gothic building in central London, Tower Bridge is one of the most photographed landmarks. Built between 1886 and 1894, it hosts a fascinating exhibition where visitors can see the project, design and phases of the construction. 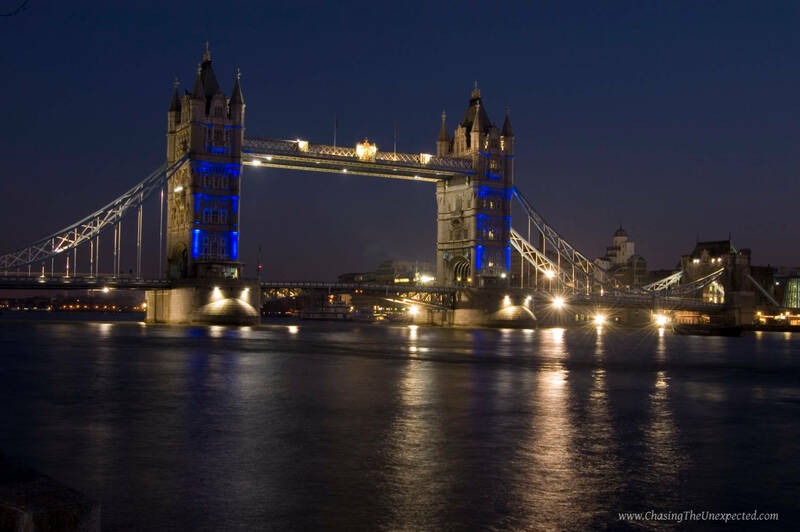 ⇒ To read more about visiting Tower Bridge and tips on where to stay nearby, click here. With a tour on the huge panoramic wheel on the South Bank, you will have a privileged view of Westminster, the South Bank, the Big Ben and St Paul’s Cathedral. The line for this iconic London landmark is pretty long so if you are short on time you might want to spend a little more and choose the fast-track ticket. After getting off the London Eye, don’t run away too quickly, but instead, have a walk along the South Bank to enjoy its street artists and a drink from one of the stands or restaurants. ⇒ Click here to book a tour on the London Eye 4D Experience Ticket. If you are still wondering what to do in London, St. Paul’s Cathedral is a fascinating place to visit. The first cathedral to be built between 1675 and 1710 in England after the English Reformation, St. Paul’s is an impressive masterpiece by architect Sir Christopher Wren. Among the important celebrations that took place here are the funerals of Winston Churchill in 1965 and the wedding of Prince Charles and Lady Diana. This is a popular London landmark, so you can find a long line. If you don’t have much time but still want to visit this iconic place, do consider buying a fast-track ticket. Address: St Paul’s Churchyard, London, EC4M 8AD. Opening times: Mon-Sat 8.30 am-4.30 pm. Sunday open only for services. Entrance fee: 18£, children 6-17 years old 8£. ⇒ Click here to book a skip-the-line entrance to St. Paul’s Cathedral. Historic and traditional, Borough Market is always one of the most visited places in London. Close to London Bridge, here you can find just about everything food-wise, both international and traditional English staples, ingredients, veggies and ready dishes. London’s oldest market, it’s been operative for some 1000 years. You will find fresh produce daily, but it’s pretty expensive compared to other markets. Address: 8 Southwark St, London SE1 1TL. Opening times: Daily 10 am-5 pm, Friday to 6 pm, Saturday from 8 am. Sunday closed. One of the largest among the eight Royal Parks that covers some 142 hectares, here you can walk, jog, swim at the Serpentine Lido (Jun-Aug), cycle, go horse riding, play tennis, bring your children to the playground, attend concerts and social events and much more. This is a great place in London to visit if you are looking for some relax and to unwind from the hustle and bustle of the city. Did I mention it’s free? Address: Hyde Park, W2 2UH. Metro stations around the park: Lancaster Gate (Central Line), Marble Arch (Central Line), Hyde Park Corner (Piccadilly Line), Knightsbridge (Piccadilly Line). Opening times: Year-round 5-12 am. This impressive graveyard of the Victorian age is the resting place of many notables such as Karl Marx, George Eliot, Michael Faraday, and George Michael. This is probably an unusual place to visit in London but totally worth it: its greenery and beautiful statues make it for a fascinating landmark. The oldest part, the western side, was consecrated in 1839 and can be visited only with a guide. ⇒ Click here to book a tour to Victorian London including the Highgate Cemetery, St. Pancras Old Church, and the iconic King’s Cross station. If you are still looking for what do in London for free, a great landmark is the Museum of London. This is a truly impressive collection of permanent and temporary exhibitions. The permanent galleries show London from its inception to now, going by the different historical periods, from the prehistoric BC times to Roman London, medieval London, the wars and plagues it went through and its citizens. Address: 150 London Wall, London EC2Y 5HN. Opening times: Daily 10 am-6 pm. One of the most vibrant (and touristy) central districts and obviously one of the best places for shopping in London. One of the best things about Covent Garden is that many of its pedestrian areas are devoted to street artists and performers of all kinds, a proper feast of acrobats, musicians, singers, dancers. Usually watching a show in Covent Garden is a guarantee of quality, since performers have to do an audition showing a high quality and the ability to establish a relationship with their audience. 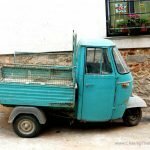 There are many markets where tourists can buy all sort of gifts such as antiques, handicraft and all odd (and kitsch) products that in London are available like nowhere else in Europe. 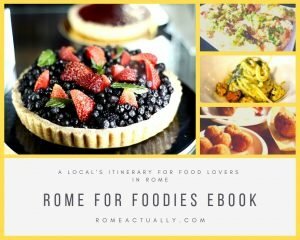 Probably prices for shopping, eating and drinking are more expensive than in other parts of the city. Apart from the markets, Covent Garden offers also a wide range of quirky shops that sell anything from toast-makers to colourful teapots. It’s very famous and often the image symbol of London, so I had to mention it. Probably now less impressive and new than when it was built, Piccadilly Circus is a crossroad of flashy advertisement boards and stores and a hangout place. With its huge advertisement panels and statue of Anteros in the middle, today is the typical postcard picture from London. Right behind Piccadilly Circus, you will enter Chinatown, a colourful feast of Chinese shops and delicious restaurants where I totally suggest having a meal made of dim sum to try as many dishes as possible. A one-of-a-kind exhibition, London Transport Museum is where you can walk through the history of the city’s transport system and its passenger in the span of the last two centuries. Starting early 19th century, when London was still quite compact and “walkable”, this fascinating collection explores the different means of transportation used by London’s residents from the rowing boats to horse-drawn trams to omnibus to the railway of the 1830s and 1840s. Here, you will also discover how London’s famous underground system, the world’s first, was created, starting in 1860 with the first route opening in 1863. Address: Covent Garden Piazza, London WC2E 7BB. Opening times: Daily 10 am-6 pm, last entry 5.15 pm. Entrance fee: £17.50 or free for under 18. Tickets are also sold together with other museums such as Churchill War Rooms, Madame Tussauds, St Paul’s Cathedral and others, so prices vary. ⇒ Click here to buy online the ticket for only the Transport Museum. Located in Southwark district, Dulwich Park is a lovely green space (right in front of where I used to live!) where you can enjoy relaxing walks, a winter garden, a boating lake equipped with pedalos and rowing boats, an outdoor gym, a tennis court, cycle for hire, and a playground for kids. Opening times: Daily 7.30 am, closing time depends on the season. Check the website for info. Boating lake opens weekends, bank holidays and school holidays, 10 am-5 pm (weather permitting) Apr-Oct. Entrance fee: Free for the park, for the boating lake the fee for children is £2 each, adults £4 each, for a duration of 30 minutes. Book a fantastic day trip from London to explore Stonehenge, Baths, and Western England. All around Dulwich Park, bordering Peckham borough, is Dulwich Village, located in Southwark and home to the small Dulwich Picture Gallery shows some 600 paintings from European artists of the likes of Canaletto, Rembrandt and Rubens. They also host temporary exhibitions and several events, including children’s workshops. Address: Gallery Rd, London SE21 7AD. Opening times: Daily 10 am-5 pm, closed on Monday except Bank Holidays. Entrance fee: 9£ for the permanent collection, for other temporary exhibitions prices vary. A nice Victorian park, Battersea was built between 1854 and 1870 and opened to the public by Queen Victoria in 1858. It is one of the many free things to do in London. Here you can enjoy a relaxing stroll, stop by the lake, use its sports facilities and visit the Buddhist pagoda. Address: Albert Bridge Road, Prince of Wales Drive and Queenstown Road, SW11 4NJ. Opening times: 8 am until dusk. 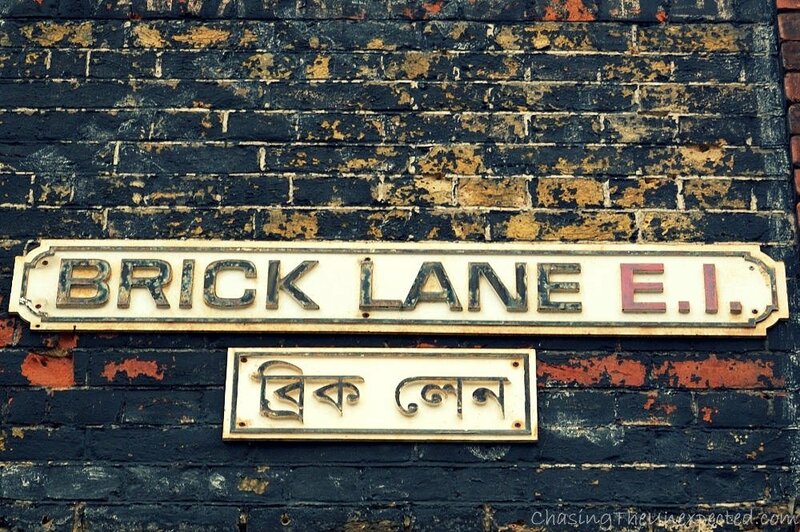 Famous and pretty unique road in London’s East End, Brick Lane is a must-see for first-timers. Originally a poor neighbourhood associated with the crimes of Jack The Ripper, now it’s the ideal space for artists, trendy shops and clubs, festivals and great markets. The Old Truman Brewery is now the venue where contemporary artists set up a lovely Sunday market with their trendy clothes, jewellery and accessories. A crossroad of different cultures, walking along this quaint street you will smell the inevitable curry of the many Indian restaurants, you will see the murals of street artists such as Bansky, Ben Eine and D*Face. Talking about vintage and food shopping in London, one of my favourite market is the Old Spitalfields Market, offering just about everything. You can find shops and stalls selling vintage and trendy clothes, antiques, books, maps, homeware, jewellery, but let’s face it, my reason to visit them whenever I could? Their food stalls. They offer dishes from all over the world and I tried many of them but one of my very favourite, the one I travelled all the way from the other side of the city for, was always the vegan Merkamo Ethiopian food stall. This being said, do try also the Chinese, Japanese, Turkish, Greek, Burmese, Jamaican flavours, they won’t disappoint. Address: 16 Horner Square, London, E1 6EW. Opening times: Daily 10 am-8 pm, Saturday to 6 pm, Sunday to 5 pm. Huge green space much loved and frequented by Londoners, Hampstead Heath offers swimming spots, many children’s facilities, a diverse wildlife, athletics tracks and sports facilities, and obviously a cafe. A perfect place to relax and unwind from the city traffic. A splendid Baroque-style royal palace, plenty of activities are organised at Kensington, former residence of Lady Diana and birthplace of Queen Victoria, where she spent her childhood. Once here, don’t miss the wonderful exhibition Victoria Revealed about the life of Queen Victoria, her being a wife, a mother, a strong ruler, and her precious collection of jewellery and personal objects. Address: Kensington Gardens, London W8 4PX. Entrance fee: £18.50 adults, £ 9.70 under 16. Located along the Thames shores in Surrey, this is the palace of Henry VIII. Explore here the corridors where Tudors’ private life happened and where political decisions were taken. Don’t miss the incredible gardens, world-famous maze. Address: East Molesey, Surrey KT8 9AU. Opening times: Daily 10 am-6 pm, last admission to the palace 5 pm, to the maze and Magic Garden 5.15 pm. Entrance fee: £ 19.20 adults, £ 9.60 under 15. One of the very best things to do in London with kids is to spend a couple of hours at the Natural History Museum in Kensington. Explore the history of life on our planet, from the smallest fish and insects to the biggest animals, the earth’s history from dinosaurs to today’s cities, discover the other planets and take part in the exhibition with all the interactive activities. I went as an adult and I had as much fun as the kids. Address: Cromwell Rd, London SW7 5BD. Opening times: Daily 10 am-5.50 pm, last entrance 5.30 pm. Closed 24-26 December. Entrance fee: Free, except for some temporary exhibitions. One of the best free things to do in London with kids is the Science Museum. Here, they can explore the science in all its subjects and wonders with plenty of interactive initiatives. Discover the iconic objects and tools in the permanent galleries as well the temporary exhibitions. Opening times: Daily 10 am-6 pm, last admission 5.15 pm. Entrance fee: Free, donations are welcome. Arguably one of the world’s most famous wax museums, Madame Tussauds is one of the cool things to do in London. Get close to important historical figures, music and cinema celebrities from all over the world, kings and queens, feel part of TV shows, movies and past centuries in what can make for an unusual and exciting afternoon in London. Address: Marylebone Road, London, NW15LR. Opening times: Daily 10 am-4 pm, Fri-Sun from 9 am. Timetables change depending on the month so better to check the website before booking the tickets. Entrance fee: Standard ticket from 29 £, fast-track entrance from 39 £. One of the world’s leading art and design exhibitions, Victoria and Albert Museum is one of the great places to visit in London for free. Admire here thousands of objects that testify some 5000 years of human creativity on architecture, art, painting, sculpture, textiles, furniture, jewellery and more. Address: Cromwell Road, London SW7 2RL. Opening times: Daily 10 am-5.45 pm, Friday to 10 pm. Entrance fee: Free, except from some temporary exhibitions. When in London, try not to miss a show at the Shakespeare’s Globe. For a place standing in the yard, the ticket can be as inexpensive as 5 £ per person, while for a seat, tickets start from 22 £. The theatre today lies close to the original building where the crew of William Shakespeare acted. Inaugurated in 1599, only in 1613 during the staging of Henry VIII the hatched roof went on fire and the whole theatre burnt to the ground. The new theatre was quickly rebuilt but fell victim of the Puritan administration and was closed in 1642 and demolished in 1644. Address: 21 New Globe Walk, Bankside, London, SE1 9DT. Opening times: Daily 9 am-5 pm for tours and exhibitions. Summer closes at 12.30 am or 11.30 pm on Friday. They stage Shakespeare’s plays several times a week, check their website for info on timetables. Entrance fee: 17 £, 10 for under 15, 15.50 £ for over 60. 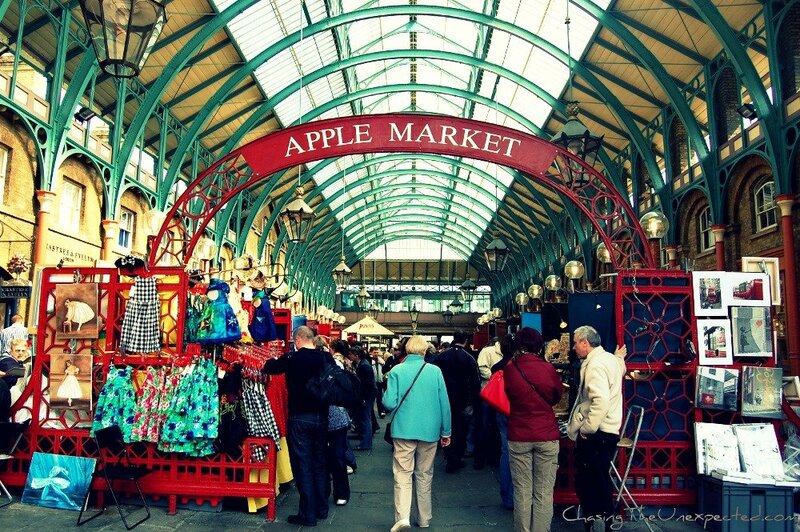 One of the favourite and most famous markets in London, at Camden Market you can buy trendy clothes, shoes, accessories, vintage gifts, foods, stop for lunch or dinner, have a drink, tea, a healthy juice or smoothie, order ethnic dishes, or take a pleasant stroll. Address: Camden Lock Place, NW1 8AF. Opening times: Daily 10 am-late, also depends on different shops and businesses. One of the places that you will visit for sure, whether you plan it or you just end up here during your London sightseeing. Located in London West End, Leicester Square brims with shops, restaurants, cinema halls and pubs, and is a favourite are among locals and tourists. Traditional and residential neighbourhood, Notting Hill is one of the most Instagrammable places in London. Home to the lovely Portobello market on Friday and Saturday and the famous Carnival that takes place on August bank holiday, here you can have a walk around the typical short, pastel-coloured London houses and cobbled streets, set of the famous movie Notting Hill. With so many things to do, restaurants to try, and pubs for the evening, in Notting Hill a whole day goes by without even realising it. How to reach: Get off at Notting Hill Gate along the Central, District and Circle lines. Boasting the largest outdoor sports area in central London, Regent’s Park is a perfect spot to spend a day away from the city’s traffic and pollution. Named after Prince Regent, who became King George IV in in 1762, here you can have a fantastic stroll along its tree-lined boulevards, admire the roses of Queen Mary’s Garden, hire a rowing boat, take your kids in one of the playgrounds or get up Primrose Hill for a lovely view. Address and how to get there: Regent’s Park, NW1 4NR. Tube stations: Regent’s Park (Bakerloo line), Great Portland Street (Hammersmith & City, Circle & Metropolitan lines), Baker Street (Hammersmith & City, Circle, Jubilee, Metropolitan & Bakerloo lines), St John’s Wood (Jubilee line), Camden Town (Northern line). Another of the favourite parks in London, St James’s Park is a spectacular green oasis hosting thousands of colourful flowers and pelicans, resident in the park for 400 years when the Russian ambassador offered the first ones to King Charles II. It’s surrounded by important landmarks including Buckingham Palace and Whitehall, so it’s a perfect place to take a break before resuming your London sightseeing. How to get there: St. James’s Park (District and Circle Line), Charing Cross Station (Northern, Bakerloo and British Rail lines), Westminster (Jubilee, District and Circle Lines), Green Park (Piccadilly, Victoria and Jubilee Lines), Victoria (Victoria, Circle and District, British Rail lines). Opening times: Daily 5-12 am. One of the offbeat things to do in London, the Geffrye Museum walks you through the different stages of British history and society through the styles of furniture. It’s a very fascinating journey into the private lives of the English citizens from all walks of life. Note: They are closed for renovation until Spring 2020, so for now you can only visit the front gardens. Address: 136 Kingsland Rd, E2. Opening times: Tues-Sat 10 am-5 pm, Sun 12-5 pm, Monday closed. A lovely green oasis mainly for local residents, Morden Hall Park is crossed by a river and inhabited by wildlife and several species of plant and trees. Among the places to visit in the park are artisans’ workshops, a second-hand bookshop, enjoying a drink at the local cafes and different exhibitions. Not exactly close to the city centre, this is one of the unusual things to do in London. Address: Morden Hall Road, Morden, London, SM4 5JD. Opening times: 8 am-6 pm. Stroll around the park and its lovely Japanese gardens, get fit with its sports facilities and relax at the local cafe. The children’s playground and facilities make it for a great place to visit in London with kids. Address: Ilchester Place, W8 6LU. Opening times: Daily 7.30 am to 30 minutes before dusk. Devoted to the study of anthropology and natural history, the Horniman Museum in the Lewisham neighbourhood in South London was opened to the public in 1901 by the will of Victorian tea trader Frederick John Horniman. From his travels to uncommon destinations such as Sri Lanka, Burma, Japan, China, he brought to London objects he thought were interesting for his citizens who didn’t have the chance to travel. Today, it’s a very interesting anthropology and natural history museum. Address: 100 London Road, Forest Hill, London, SE23 3PQ. Opening times: Daily 10 am-5.30 pm. Closed 24-26 December. Entrance fee: Free, except for temporary exhibitions. Founded in 1901 to introduce the residents of this formerly poor district of London to the world of art, Whitechapel Gallery has put on display the work of famous artists such as Frida Kahlo, Pablo Picasso and Jackson Pollock, as well as contemporary artists such as Sophie Calle and Sarah Lucas. A very interesting contemporary art gallery in this gentrified neighbourhood. Address: 77-82 Whitechapel High St, London E1 7QX. Opening times: Daily 11 am-6 pm. Closed on Monday. Entrance fee: Free. It’s possible to book private guided tours available in English and Italian starting from 150 £. Some of the most exclusive places for some crazy (and expensive) shopping spree in London are Harrods (87-135 Brompton Rd, Knightsbridge, SW1X 7XL), shopping mall resembling more a museum than a department store, and Selfridges in Oxford Street, where you can find the most luxurious brands and exclusive dining options. Selfridges is not the only department store in Oxford Street, though. Walk along this long road and see the several international brands, accessories stores and other top department stores such as Debenhams, John Lewis, and Marks and Spencer. In Oxford Street there is also Primark, a cheap store where you can find just about everything from clothes to shoes to underwear for very affordable prices. I couldn’t agree more.. I love it every time am in London. Recently went to see a ballet, and it was beautiful! True, it’s also relaxing, kind of a oasis in the middle of London traffic..
Nice colors and great composition! I love Covent Garden, there’s some great restaurants off the main piazza too! True, you can find some pretty good quality around there! Our knowledge of London is embarrassingly limited – neither of us have been there since we were 15. My friends always tells me how good Covent Garden is though. We’ll visit one day. Until then, Istanbul will suffice as a city fix. Ah! I bet Istanbul will suffice till then, I even prefer it to London! Londres vaut le coup, pluie à part! Londra è proprio multi-etnica, perciò molto interessante! Vero, non ci vivrei più però..
An old colorful well organized market. Thanks for sharing. Covent Garden is perhaps popular with tourists, but not without reason. There’s always something fun going on. We were there last December, loved hearing opera singers spontaneously bursting into song. True, there is everything something going on, doesn’t matter if weekend or week day! Beautiful market. Roadside shows are really cherish-able.Thanks. Amazing photos and lovely description. Actually you took me back to my school days when we had an English essay named COVENT GARDEN AT DAWN. I forgot the name of the author although now I tried to google and check. I always thought covent garden was a huge vegetable, flower and fruit market because that is what I remember reading in that essay. Now you have provided additional information on this. Probably things have changed over a period of time and now it sports a transformed look and looks organized. The author in that essay talks about the commotion in the congested market at dawn. Hi Joseph, thanks so much for your insightful comment. I don’t know about the origins of Covent Garden, but I wouldn’t be surprised to learn it was actually created as a proper garden and then it evolved into a market or something similar. I would be nice to find more info and even pictures of its beginnings! Oh, you just made me feel homesick! I love all the excitement and activity in and around Covent Garden. It may get quite crowded with tourists, but it’s still so colorful and fun. Great photos! It’s very picturesque, many tourists but also many locals, Covent Garden just gets very crowded all the time! There is a popular market in the heart of Seattle city center called, “Pike Place Market” which reminds me of this place. Similarly, Pike Place Market is also a very touristy attraction. But I often find myself going there and enjoying every minute of it. Markets like therese often provide plenty of new food, souvenirs, and people to discover no matter how many times you go. I imagine this is probably why the Covent Garden is so popular in London, too. 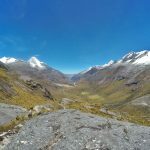 From your photos, it looks like a place I would love to get lost and just wander, too. Yet another place to add to my list for London. Absolutely you should go to Covent Garden, you like taking pictures so you will find so many quirky subjects, but I advise you to go to Brick Lane and Camden markets, in my opinion much more authentic than Covent Garden. The people in the photos are soo British! I’m such a sucker for market photos. Love these! I would like to spend more time in London – I’ve always been “passing through”. I love markets and even though street performers hang out in touristy areas, I like to watch them (I don’t much care for all the silver and gold “statue” performers, though). I passed by Covent Garden on a Winter and didn’t enjoy it much till I witnessed some of the performers. Great pictures, Angela! Thanks, glad you like them. I think markets like Brick Lane or Camden are more enjoyable as proper markets than Covent Garden, which is mainly a tourist attraction in the city center..